Michigan’s 20-year-old school funding system, based on the passage of Proposal A, is unique in the nation and came about after a political game of chicken. Michigan had a long tradition of local control of education, relying on local elections to set millage rates for property taxes, which in turn provided most of the funding for local school districts. But by the early 1990s, taxpayers’ cries for property tax relief reached a fever pitch. A dozen ballot proposals to improve the system had failed over the years. The result was a lose-lose proposition for Michigan: residents were frustrated by high property taxes, and funding for local school districts varied enormously across Michigan based on each district’s location and level of affluence. In July 1993, the legislature passed and the governor signed a law that eliminated all property tax paid for schools. It cut about 64 percent of the $10 billion statewide school budget, effective in 1994-95 school year. The move forced the legislature to come up with a new way to fund schools. Or else. OK, so what is Proposal A? After Proposal A, a new state education tax was created – 6 mills assessed on state equalized value (half of market value) of all property. Proposal A also capped how much this tax can go up. Growth in taxable value is capped at 5 percent or the rate of inflation, whichever is less. The major point to remember is this: Proposal A means taxpayers can no longer vote to tax themselves extra to pay for ordinary school operations for their local schools. Michigan is the only state in the nation to fund schools with a state property tax and cap local property tax payments for school operations, according to the Education Commission of the States, a Denver-based research organization. Proposal A also created a new transfer tax of .075 percent on the sales price of real estate that is to go to the state school aid fund. In addition to the 6 mills, non-homestead properties (businesses, rental property and vacation homes) can be assessed an additional 18 mills to go to schools, but local residents must vote periodically to renew this tax. The "foundation allowance," also known as the foundation grant, is the per-pupil amount of money given to each school district based on the number of students enrolled. It became the primary means to distribute state funding to school districts and accounts for about 67 percent of the state school aid fund. The first foundation allowance paid to school districts was based on the amount of revenue per pupil that district received just prior to the approval of Proposal A. Because schools had been mostly locally funded with property taxes, the initial foundation allowances varied, largely reflecting the variances in local property values and taxes that had existed from district to district. Over the years, increases in school funding were distributed in a way that gave double increases to lower-funded schools in an attempt to continue to close the funding gap among districts. In 1995, the lowest-funded schools received $4,200 per pupil and higher-funded schools received $6,500 per pupil. By 2013-14, the lowest-funded schools reached $7,026 per pupil while higher-funded schools received $8,049 per pupil. Proposal A took away taxpayers’ ability to vote to increase their taxes to put money in their schools’ general fund for operations. However, local taxpayers may vote to approve new taxes to fund construction, technology, land purchases or for an Intermediate School District. Michigan, unlike some other states, does not have a state fund for school construction, so this provision allows taxpayers to fund improvements to their local school buildings. Charter schools are not allowed to ask local voters to approve additional taxes for any reason. School districts where local taxpayers contributed more than $6,500 per pupil prior to Proposal A’s passage in 1994 are called hold-harmless districts. These districts (50+ of the state’s 549 school districts in 2013-14) tended to be wealthier and were allowed to continue to pay additional local property taxes for their schools' operations, exceeding the maximum foundation allowance. The hold-harmless designation allowed those districts to continue to reach pre-Proposal A funding levels and avoid drastic cuts to fit under the state’s Proposal A per-pupil funding. A host of financial problems has led to cries for a Proposal A overhaul. Schools rely on state sales taxes, putting them at the mercy of a state economy that has seen tremendous upheaval since the 1990s. Slumps in sales taxes due to the recession and unemployment have meant less money for schools. Schools statewide have experienced declining enrollment and therefore declining state funding under the per-pupil funding formula. Cutting costs when students leave is easier said than done, school officials complain. After losing small percentages of students, schools find it difficult to quickly cut budgets or staff because when a district loses a small percentage of students (and the revenue they bring), that doesn’t mean costs to run the district decline. What’s more, Proposal A was designed to cut taxes and fund schools at a basic level, but was never designed to fund large-scale school reforms, which carry additional, sometimes expensive price tags. Sources: “The Basics of the Foundation Allowance,” House Fiscal Agency; “The Basics of School Funding,” Senate Fiscal Agency, staff research. One factor to consider in school funding is the use of what was called K-12 funding that was shifted to colleges. The result was that K-12 received less money to support schools and children. Another wrinkle is the fact that about 24% of the per-pupil grant is sent right back to the state for teacher retirement. So, an $8000. grant really amounts to about $6000. Funding grants to charter school would still get the full $8000 without any reduction, thereby providing a tremendous income stream for the profiteers who run the charters as an investment racket.Public school systems provide bus transportation that comes out of the per pupil grant; charter schools do not provide bus transportation. So for profit charters benefit financially from the per-pupil grant by not providing bus transportation. 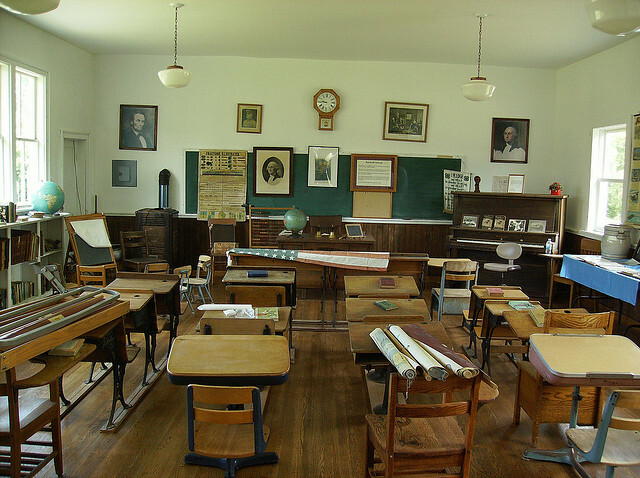 The original plan under Engler was that the existence of charter schools would spur traditional public school to improve in order to maintain a competitive edge. But the for profit sponsors of the charters now use charters as a way to monetize schools ad students as a means to derive profit. Yes, nobody talks about the diversion of K-12 funds to colleges. This school year it is $398.1 million. If this were truly k12 money it would amount to another $260 per student for every school. Actual funding to k-12 schools is the same level as 2006-2007. Proposal A does need to be overhauled, however it is scary to think what the insane asylum we have mascuerading as a legislature would actually come up with. We had a tough time getting Proposal A constructed. Fortunately the Legislature had many study committees to explore what would work, what was "fair", and how to deal with the very wide gap between very wealthy districts and very poor districts...like some of the Northern Michigan districts. Also, we had long-term legislators who know the then current funding formula which was very complicated and few understood it. So to open the discussion, and changes should be made as a lot has happened in 20 years, the process will have to be controlled to those parts that need reforming not the whole Proposal A, It is like calling for a Constitutional Convention...be careful what you wish for. Those "unintended consequences" will get you every time! If property taxes were eliminated to fund the schools WHY is the School Education Tax on my property tax bill? Proposal A is a last hope to keep some semblance of monetary control over a system that has an infinite appetite for money. Proposal A could be eliminated IF: 1) We didn't have so many school districts, often overlapping city / township boundaries. Perhaps all districts could be changed to countywide districts as is done in Florida eliminating much overhead. 2) The role of ISD's was better defined 3) All pension and medical costs should be in defined contribution plans, as many are today. 4) The union requirement to get medical insurance from a union controlled organization should not be allowed in contracts. 5) Non-educational functions such as food service, transportation, and janitorial should be looked at for privatization. 6) Logistics become optimized in things like looking at e-books and right sized school busses and statewide purchasing agreements. In short, all things should be looked at so that the taxpayer gets the most bang for the buck, as is the case with private industries. But the educational establishment only knows how to ask for more money, so Prop A is a necessary requirement to protect the taxpayer. There is no requirement to have union provided insurance. The fact is that many school districts and employee groups enjoy better benefits at the same or yes, lower cost by switching to VEBA plans. The irony is that Engler managed to increase Michigan taxpayers' federal taxes by billions. The property tax was deductable for federal income tax purposes, but sales taxes were not. By switching to the sales tax from the property tax, Proposal A substantially reduced federal tax deductions for Michigan itemizers. In recent years, itemizing federal taxpayers have the option to take either the sales tax deduction or the property tax deduction. That reduces the increased federal tax burden from Proposal A, but does not eliminate it. Don't you realize that federal deductions are always the case where "you pay 4 dollars to get one back". Like interest on a mortgage, you only get back 1/4 of what you pay. Better to not pay the interest at all, then you'd have 4 dollars. Hi, R.L., thanks for the response. I love this explainer from the Senate fiscal agency. It shows the funding gap between lowest and basic funded districts shrinking from $2,300 per pupil in 1994-95 to about $1,023 per pupil. As you know, this does not include the 50 hold harmless districts. Click through until you see the applicable pie chart: http://www.senate.michigan.gov/sfa/Departments/DataCharts/DCk12_SchoolFu... This site also has a history of foundation grants in all districts. Thank you Chastity someone finally responded to my months of comments on the Bridge reports. I read each and everyone of them and am always amazed that no one ever responded pro or con. I did over thirty five years in education at all levels and once you retire no one in the school want to listen any more. Again thank you Peace R.L. I remember that Proposal A was basically forced onto us. We had runaway property taxes by fiscally irresponsible local government entities who raised property taxes instead of looking for efficiencies. Prop A did not lower taxes and we got a 2% sales tax increase - lose-lose. The voters had no choice. Excellent summary but there are always some omissions for the sake of brevity that are important points for some. I have a couple. No mention is made of the fact that the legislature constructed, and the Governor approved, two new funding options after the property tax system was eliminated. One was the "statutory" plan which called for no voter-approved constitutional changes and an increase in the income tax to fund K-12 education. The second was Proposal A, which called upon the voters to approve a number of changes in Michigan's constitution, principal among them an increase in the sales and use tax to 6%. The legislation approving these alternatives said that if the voters approved Proposal A, it would take effect; if Proposal A were rejected then the statutory plan with its income tax increase would take effect. In either case, Michigan would have a new state education funding system. Although a lot of us felt that the statutory plan was the better alternative because an income tax was a less regressive tax, the voters approved Proposal A with its sales tax increase and a number of other changes which are now embedded in the constitution, some of which we regret. The other point I would make regards the School Aid Fund which was constitutionally established as part of Proposal A. Voters believed the SAF and its funding with the additional sales tax was constitutionally protected but over the years we have found to our dismay that the legislature not only has the power to redirect SAF revenue away from K-12 education but also the power to authorize exemptions from the sales tax that have drained millions and millions and millions from the School Aid Fund. Nice job, Michael. Good to see you continue to be involved in improving our system. Two very important points. So... should we trust that Proposal 1 on Michigan's August Primary Ballot is going to add more dollars to school funding if it passes? Or will it put us further behind financially if taxes are alleviated by even small businesses and create more state control over municipalities if passed? This proposal needs to be made more transparent to voters, especially those who will vote early by absentee ballot. Suggest you review two reports produced by MDE in early and mid 2000: From Proposal A- to A+ ( around 2001-02) And Strructural Funding Problems Facing Michigan Schools in the 21st Century Both will shed historical light on this ongoing drama. We ignore problems and pretend to fix them. If you have a hole in your roof-- pretending to fix it does not keep the rain out. So what Proposal A did was shift the tax from one area to another and gave it another name. The School Education Tax is included on property owners tax bill so property owners are still paying school; taxes Schools were also given the options of asking voters to approve an Enhancement Millage. If you bought a home after the proposal passed the previous tax rates apply Proposal A is one of the biggest scams I have ever seen come out of Lansing.